In this new series of videos, I chat about my pens. 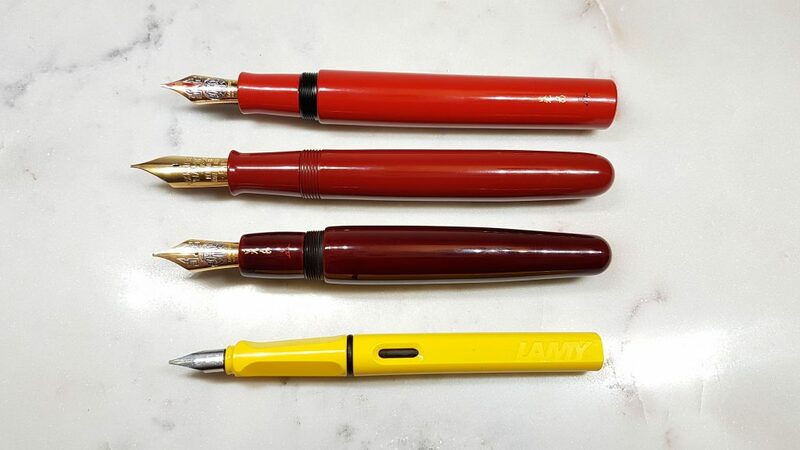 There will be no writing samples here: if you’re interested in that, please check out my reviews of the individual pens or see my Personal Pens videos. 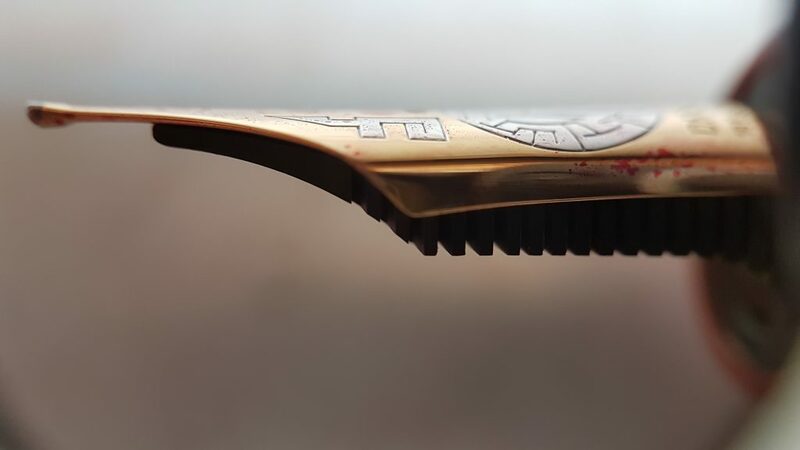 In this second installment, I talk about my urushi pens, made by Namiki and Danitrio. 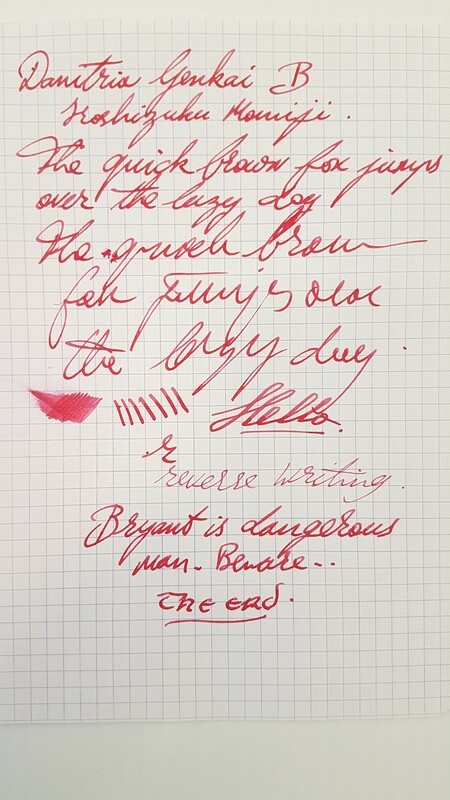 This entry was posted in Chatting About My Pens and tagged 18K Nib, chatting about my pens, Danitrio, Emperor, Genkai, Mikado, Namiki, One-Way Shutoff Valve, Urushi on January 4, 2019 by sbrebrown. 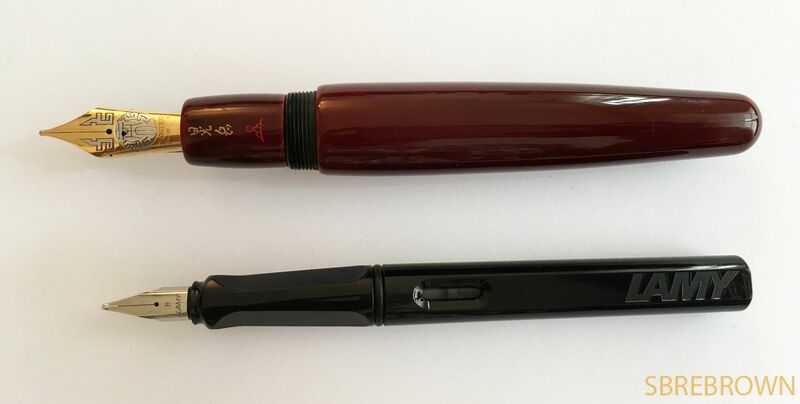 I picked up this beautiful pen from Chatterley Luxuries. A superb artist’s rendition of a one-way shutoff valve. This entry was posted in Fountain Pens, Reviews and tagged #8 Nib, 18K Nib, Broad Nib, Danitrio, eyedropper, Genkai, Grail Pen, One-Way Shutoff Valve, Roiro-Migaki, Urushi on July 9, 2018 by sbrebrown. It’s the most wonderful time of the year… Merry Christmas everyone! 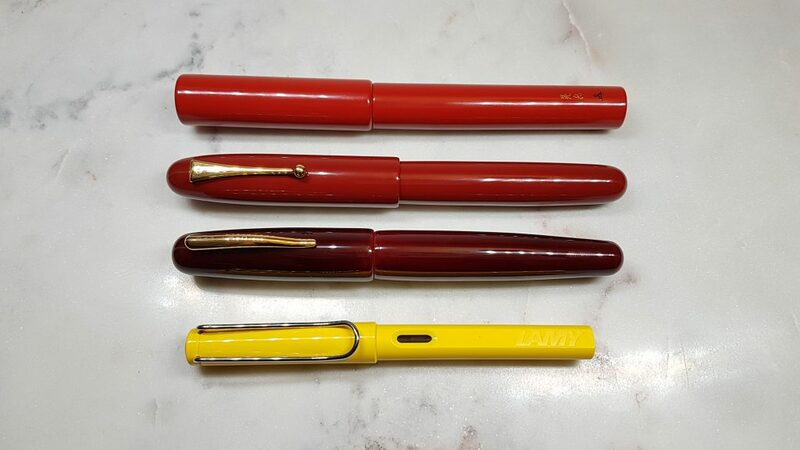 This entry was posted in Fountain Pens, Reviews and tagged Armando Simoni Club, Bologna Extra, classic pens, Cross Star Wars Boba Fett, Danitrio, Duofold Centennial Akkerman, Fountain Pens, GOAT, Greatest of All Time, lb5, Mikado Aka-Tamenuri, Namiki Emperor, OMAS 360 Magnum, Parker, Viceroy Grand Victorian, Visconti Opera Elements Fire, Visconti Opera Master Tobacco, Yard-O-Led on December 25, 2017 by sbrebrown. 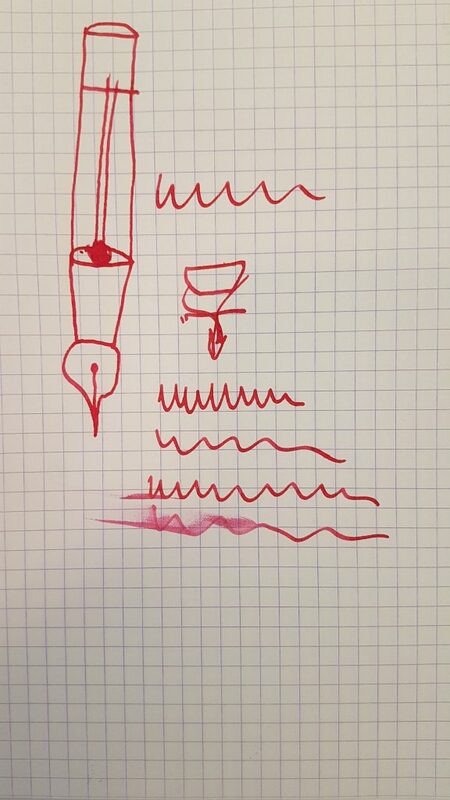 I just love this pen, so I purchased it after having reviewed it almost a year ago. 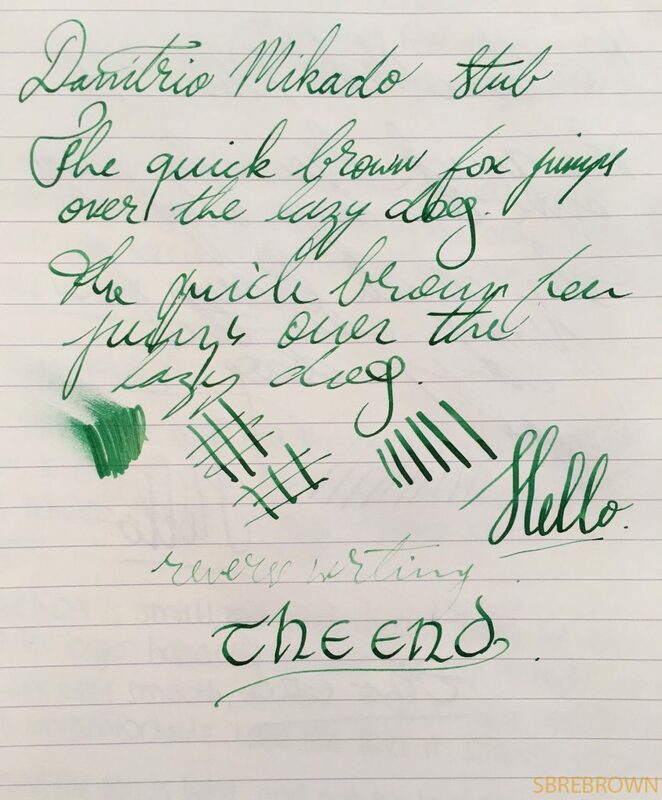 This entry was posted in Fountain Pens, My Personal Pens and tagged 18K Nib, Aka-Tamenuri, Danitrio, Mikado, Mike Masuyama, My Personal Pens, One-Way Shutoff Valve, Stub Nib, Urushi on December 20, 2017 by sbrebrown. 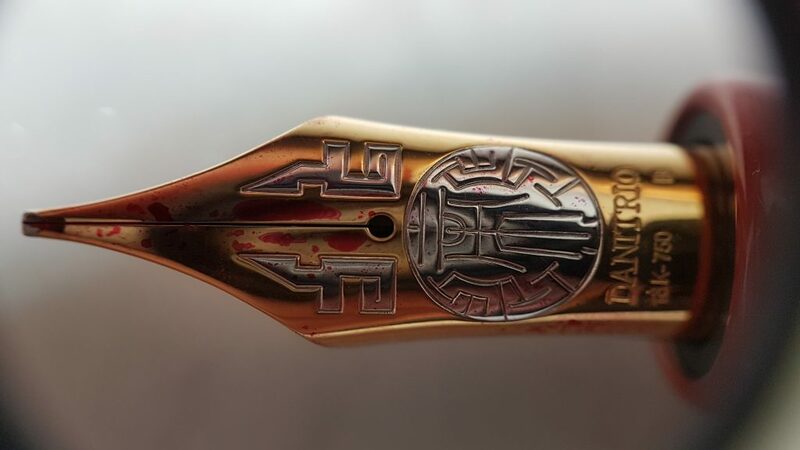 This fascinating pen with factory stub nib was lent to me by no one else than Eric Orozco of FPGeeks fame! This entry was posted in Fountain Pens, Reviews and tagged 18K Nib, Danitrio, fountain pen, Italic Nib, Mikado, Stub Nib, Tamenuri, Urushi Lacquer on May 10, 2017 by sbrebrown.